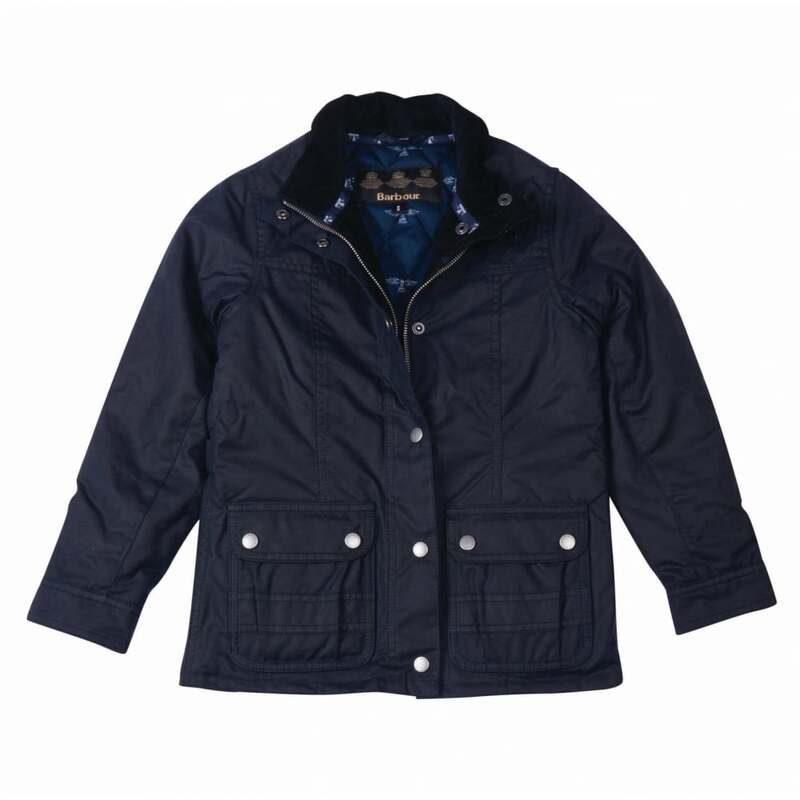 The classic Barbour Trow jacket has been re-created in a 'mini-me' version. The Trow jacket is a shorter length wax jacket featuring all the classic details of a Barbour Wax jacket. Front patch pockets and a small chest pocket are finished perfectly with metal poppers and a funnel neck helps keep little faces warm. The iconic beacon print lines this versatile jacket and traditional Barbour branding adds the perfect finishing touch.